The Mutter Museum hosted a beer garden in their outdoor garden. 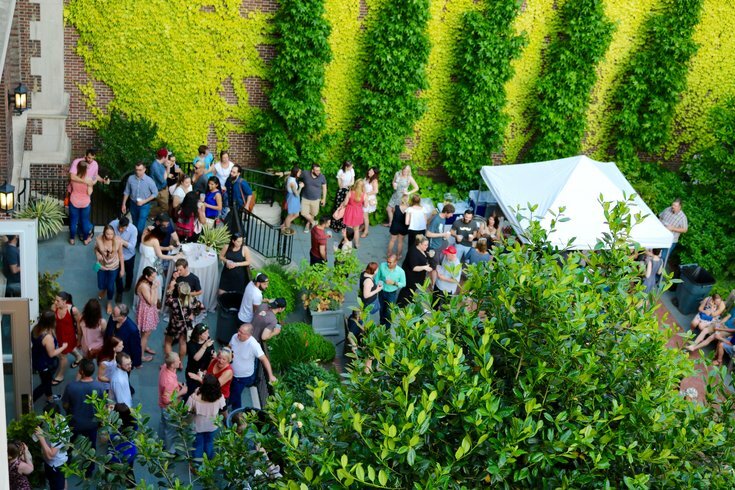 In May of 2016 and 2017, the Mütter Museum turned its Benjamin Rush Medicinal Plant Garden into a pop-up beer garden for one night, to celebrate the unofficial beginning of summer. This year, the museum that aims to make visitors "disturbingly informed" on medical oddities will switch things up slightly. On Thursday, May 24, the Mütter's summer kick-off will have a beach party theme. But otherwise, this year's event is similar to past ones. Snag a ticket for $12, which includes access to the pop-up beer garden and the full museum – you'll definitely want to take a peek at all the weird things in jars. Outdoors, there will be cash bars selling beer and sangria, plus complimentary snacks like popcorn. The event will take place after-hours, from 6 to 10 p.m.